Want to learn even more about XSLT ? EXtensible Stylesheet Language Transformation commonly known as XSLT is a way to transform the XML document into other formats such as XHTML. 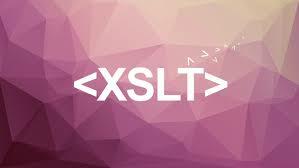 This tutorial explains the basics of XSLT. It contains chapters discussing all the basic components of XSLT with suitable examples. This tutorial has been prepared for beginners to help them in understanding the basic concepts related to XSLT. This tutorial will give you enough understanding on XSLT from where you can take yourself to a higher level of expertise.